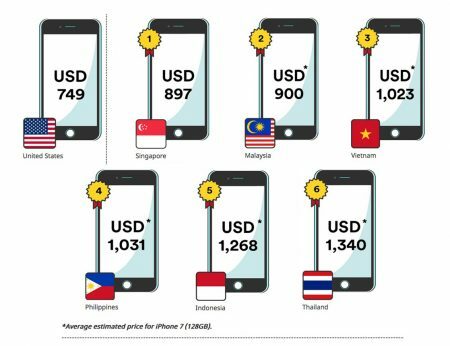 An Apple iPhone 7 in Thailand will cost over US$1000, substantially more than its US$749 price tag in America, making it the most expensive country to buy an iPhone 7 in Asean. 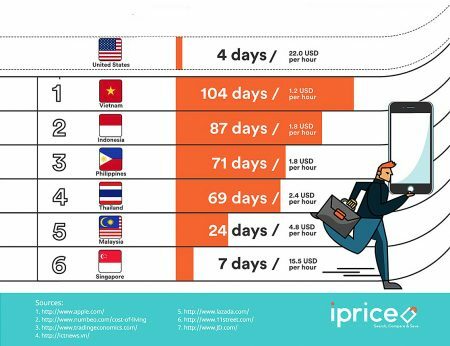 Southeast Asian shopping and e-commerce site iPrice found people in Thailand, Vietnam, Malaysia, and the Philippines where the device is yet to be officially launched, will pay a significantly higher amount than people living in the United States. In Singapore, where the iPhone 7 is already on the market the price is US$897, 20 per cent higher than in the US. In Thailand the iPhone 7 can be pre-ordered for around $1,340, 79 per cent above the US price. “For Asean countries where the iPhone 7 has not yet been officially launched… the tech savvy have resorted to going abroad in the hope of being the first to own it,” iPrice marketing executive Andrew Prasatya, told the Jakarta Globe by email. iPrice says the staggering difference in price for the Apple iPhone 7 in Asean comes down to export costs, import duties, taxes, and other fees imposed by different governments of the region. Apple announced the iPhone 7 and the iPhone 7 Plus early last September. The two new devices join the one year old Apple iPhone 6S, iPhone 6S Plus and the smaller iPhone SE. At this time last year Apple announced it had sold over 13 million new iPhone 6S and iPhone 6S Plus models in the first three days after their launch – a new record. 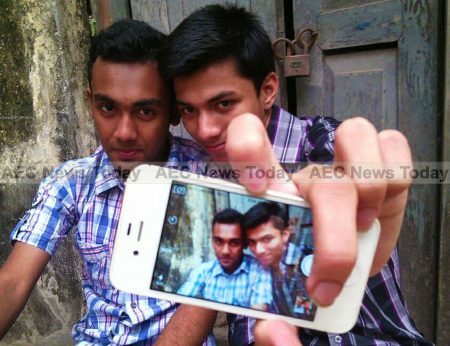 The Apple iPhone 7, however, is not causing as much of a sensation as its predecessor. According to technology news and reviews site TechRadar the changes between the Apple iPhone 7 and Apple iPhone 6S are “slight”, except of course, for the price. Thailand’s most popular online shopping site, Lazada, is currently selling the Apple iPhone 7 for around $1,063, the Apple iPhone SE for $455 and the Apple iPhone 6S for $721. 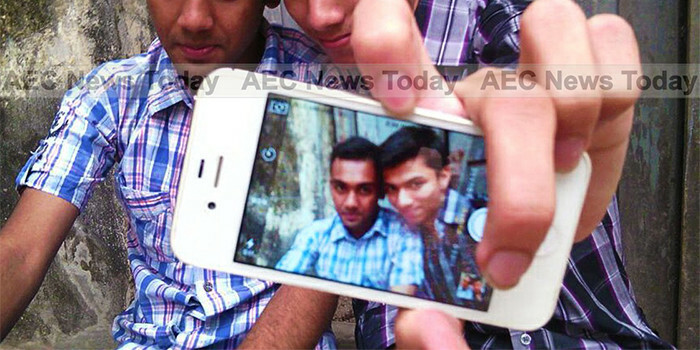 The Apple iPhone 7, which is famous for being splash and water resistant, and having a longer battery life, will be available for purchase in Thailand October 21 where it is set to become the most expensive location to buy an iPhone 7 in Asean.